On October 26, 2000 Hildebrandt International was retained to offer recommendations regarding the optimal structure for the Office of Corporation Counsel for the District of Columbia (OCC). Our charge was to recommend an optimal structure based on basic information provided by the OCC. We were directed not to provide an assessment of the current state of affairs of the OCC. Our recommendations are based upon data provided by the OCC, Hildebrandt Internationals experience in the legal services industry and with consideration given to the assumptions set forth in the Statement of Work. The report is structured to address the specific deliverables identified in the Statement of Work. We define an optimal legal department as one that has the skill sets, capacity and resources to fully support the needs of its clients in a fiscally responsible manner. The organization must have stability to provide reliable, consistent service and flexibility to meet the ever-changing demands of the client base. High quality professional services must be provided in a timely and cost effective manner, measured by client satisfaction. To achieve this there needs to be a close nexus between the lawyers and the clients they serve. Thus a primary goal of the optimal structure is to organize the around client services with the staffing and service practices of each practice section tailored to the needs of its client base. Appellate  Defense of agency, trial court and/or appellate court decisions. Defensive Litigation  Protection of the legal interests of the District of Columbia when sued for equitable or monetary relief. Affirmative Litigation  Litigating on behalf of the District and its agencies to enforce statutory and regulatory mandates. Counseling  Providing legal advice to the Mayor and District agencies. Risk Management  Making recommendations to minimize the legal liability of the District and its agencies. Legislative Drafting and Analysis  Draft, analyze and monitor legislation for the Mayor and District agencies. The optimal organization described in this report reflects a best practices approach to the design of the organization. The Corporation Counsel serves as the chief legal officer for the District of Columbia. Because of the Districts unique status, which involves aspects of city, county, and state government functions, the Office of the Corporation Counsel ("OCC") provides a wide variety of legal servicessixty altogether. Among these are matters typically handled by States Attorneys General, District Attorneys, and City or County Attorneys. At any time, over 13,000 matters are pending that include appellate, civil, and criminal cases in litigation before local and federal courts, affirmative litigation in the areas of tax fraud, welfare fraud, and consumer protection, and legal advice/opinions for executive branch agencies and their officials. Even by D.C. standards, OCC is a "major" law firm, employing 239 attorneys. The office is organized into four major offices and 12 divisions, as shown in the attached organizational chart. In addition, the Legal Services Establishment Amendment Act of 1998 gave OCC limited supervision and control of 58 attorneys employed in the general counsels offices of 13 agencies subordinate to the Mayor. Mayor Anthony A. Williams is interesting in rightsizing the District Government. OCC is a leading example of an agency that has undertaken self-examination of its staffing, workloads, and resources. Over the last ten months, OCC has realigned itself, based in part upon its own study of office organizations in States Attorneys General and City Attorneys offices and in response to the District governments current deputy mayor configuration (See Attachment A). An internal reengineering effort from April to June 2000 yielded 28 recommendations to improve staffing levels, working conditions, internal communication, and service delivery. As a part of the reengineering effort, 241 employees (attorneys and non-attorneys) completed a 13-page survey, which represents just fewer than 70% of all employees. Workload data was collected and has been summarized by individual employee and division. Each employee reported the total number of matters or cases he or she had pending and rated the matters on a 5-point scale in terms of complexity. Tasks were identified for each classification level (attorney, paralegal, investigator, clerical, etc.). Data on OCCs staffing levels and supervisory ratios were compared to those of 11 large cities, 21 counties, and all 50 states. A matrix of current and recommended staffing levels by division resulted from this data and interviews with division and section managers. OCC is seeking recommendations to optimize performance based on the types, amount, and complexity of work it is responsible for and the types of customers it serves. Such recommendations must address office organization, staffing levels and ratios, training and development, and technology. The goal of the study is to build one or more "optimal" legal organizations based upon data collected by OCC and information the consultant can bring to bear based on its experience with and knowledge of comparable legal service institutions. We do not want a study of the current organization and operations of the existing office. Rather, we want the consultant to take basic information about the organization; its case loads, clients, etc., and recommend several optimal organizational, staffing, and budget choices. Staffing for the Corporation Counsel and Principal Deputy, addressing such matter as whether they need advisors, and, if so, how many performing what types of functions, support staff needs, etc. Recommendation about non-personnel services issues, such as office size, furniture, file rooms, war rooms, conference space, copy and facsimile machines, etc. Recommendations on which functions currently done by the Office could be outsourced, transferred, or eliminated over time. A preliminary set of findings and recommendations is required on Monday, November 6, 2000 with a final letter report due on Thursday November 9. The Corporation Counsel serves as the chief legal officer for the District of Columbia. Because of the Districts unique status, District governance involves aspects of city, county, and state government functions. OCC provides approximately sixty different services (see Attachment B). Among these services are matters typically handled by States Attorneys General, District Attorneys, and City or County Attorneys. At any time, over 13,000 matters are pending that include appellate, civil, and criminal cases in litigation before local and federal courts, affirmative litigation in the areas of tax fraud, welfare fraud, and consumer protection, and legal advice/opinions for executive branch agencies and their officials. Anticipate a 3-5% annual growth rate in the claims and civil litigation area. The Legal Services Establishment Amendment Act of 1998 ("Legal Services Act") gave OCC limited supervision and control of 58 attorneys employed in the general counsels offices of 13 agencies subordinate to the Mayor (see Attachment C). The Legal Services Act also provides for an Attorney Retention Allowance  an amount payable annually that is based on performance for the previous rating cycle and is designed to achieve approximate salary parity for attorneys with salaries paid at the federal level. In addition to basic legal services, senior staff of the office must be available to meet with the Mayor, Deputy Mayors, Council members, Congressional staffs and members, and the public on a frequent basis to discuss both legal issues and the legal implications of proposed or actual policy decisions. Supervisory staff must be available to provide both overall organizational management, as well as day-to-day supervision of line staff; attend court and provide hands-on supervision for trial staff, as needed; mentor employees; and provide discipline to all staff levels. A method needs to exist to reward successful attorneys who are good litigators or opinion writers that does not necessarily require promotion to supervisory positions. Training is needed at all levels, including management and supervisory skills, and subject matter enhancement or acquisition for attorneys and support staff. To the maximum extent fiscally possible, technology should be used to enhance staff performance. Cost recovery mechanisms, including fee-for-service arrangements with or charge-backs to client customers and reimbursements from the federal government or others for services rendered, will be required in upcoming years. All functions currently done by OCC may not be required by statute or ethical obligation and may be phased out or the obligation for performing them transferred to another agency. Presently, there is a backlog of some 1,000 children who are awaiting permanency hearings (under ASFA, the District must now initiate or join in TPR litigation within a short time frame after the Child and Family Services Agency designates adoption as a childs goal). Hildebrandt International, celebrating its 25th year, is a multidisciplinary management consulting firm. We have worked with legal departments in virtually every industry and at every level of government. Our clients have included the United States Postal Service. We helped the Dade County State Attorneys office when Janet Reno held that office. We have worked with the Corporation Counsel of the City of Chicago. We have done work for several Attorneys General, including Hawaii, Minnesota, Arkansas, Virginia and New York. We have been featured speakers at National Association of Attorneys General meetings. We have worked with the legal departments for Dow Chemical, Baxter International, The Walt Disney Company, Verizon, Bell Atlantic, Bell South, Sabre Inc., Sky Chefs, American Eagle Outfitters, Williams Sonoma, Kinkos and many others. In the District of Columbia we have worked with Covington & Burling; Wilmer, Cutler & Pickering; Dickstein Shapiro Morin & Oshinsky; Akin, Gump, Strauss, Hauer & Feld; Steptoe & Johnson; Howry & Simon; Hogan & Hartson; Shaw Pittman Potts & Trowbridge; McKenna & Cuneo; Swidler Berlin Shereff Friedman and Arent Fox Kinter Plotkin & Kahn. Hildebrandt takes an active role in shaping the legal profession. We organize a number of major seminars each year and speak at dozens of others. The Hildebrandt Institute educates leaders in the legal profession. The faculty includes senior law firm managers, renowned educators, the most experienced consultants in the legal industry, and distinguished experts from associated fields. Hildebrandt Internationals Chairman was one of the founders of the Association of Legal Administrators (ALA) and served as its first president. Several of our consultants have served as presidents of the ALA, and we continue to be actively involved in the organization. One of our consultants served in the ABAs House of Delegates and is a member of the American Law Institute, and our consultants actively engage in ABA section and committee work. One of our consultants founded Corporate Legal Times, the premier legal publication for in-house lawyers and another was the publisher of Lawyer Hiring & Training Report and The Almanac of the American Judiciary. A number of our consultants are active in the American Corporate Counsel Association and speak at their functions. We are prolific writers and our bylines appear in virtually every publication affecting the legal field. Two of our consultants are authors in the recent joint West and ACCA publication of the four-volume treatise, Successful Partnering Between Inside and Outside Counsel. One of our consultants is the author of Maximizing Law Firm Profitability: Hiring, Training and Development of Productive Lawyers published by American Lawyer Press and updated annually. The recommended organization has six individuals reporting directly to the Corporation Counsel. These include the Principal Deputy, the Senior Deputy and four high level advisors. The Advisory Group is comprised of the four high level advisors. This group provides advice to the Corporation Counsel and the Mayor regarding policy, strategy and critical issues. The Principal Deputy leads the Legal Services Group, which is the primary service provider of the OCC. The Senior Deputy leads the Shared Services Group, which provides operational support to the OCC. The Legal Services Group is comprised of five divisions with 16 practice sections that are organized to align their legal services with specific client needs. The Shared Services Group is organized into four divisions that organize all of the administrative managers and supervisors under one umbrella structure and provide operational and management services to the OCC. Organization Charts can be found under Tab Five. Analysis of Agency Lawyers was excluded from the Statement of Work and are therefore not included in this population. This population does not include Shared Services functions that are commonly provided by other departments within the governmental structures such as risk managers, mail and delivery services and supply management staff. Our recommendations include a discussion of the impact that the Adoption and Safe Families Act of 1999 will have upon OCC staffing. We support an OCC suggestion that a post-adjudication unit be established as an interim measure. Because we consider this as an interim measure, we do not include this staffing in the optimal OCC staff population. The Optimal structure provides a ratio of one supervising lawyer for every six lawyers and includes a Shared Services staff of 101. Our recommendations can be found under Tab Six. We provide salary ranges for each position identified in the optimal organization under Tab Seven. While our engagement did not include a complete salary benchmarking analysis, we have endeavored to provide ranges that reflect the legal services market from which the OCC obtains its staff for each position we recommend for the organization. The services provided by the OCC are varied and broad. The workload for each division is influenced by the service needs of the divisions client base and by the rules and regulations that impact performance. The single common denominator is time. We recommend that workloads be measured by the ability of a fully productive lawyers ability to provide 1700 hours of productive legal services (commonly referred to as "billable time") on an annual basis. Lawyers are expected to devote more than 1700 annually to their job duties performing "non-billable" activities. In establishing our recommendations, we considered all information provided by the various divisions regarding the dynamics of their practices. We were not asked to verify the workload information provided by the OCC. Actual workload standards should be established only after careful and complete study of each practice section. Our recommendations are under Tab Eight. We recommend two broad categories of training  skills enhancement and organizational dynamics. We were not provided with a current skills assessment nor were we asked to conduct such a study. Thus our recommendations are by necessity only general in nature. With regard to legal skills training, every lawyer should receive at least 15 hours of continuing legal education annually. All staff should have technology training resources available to ensure that technology tools are used to support the optimal structure. Elective training in areas of customer service, negotiating skills, professional writing skills and other practice specific skills should be available to all staff. Training in organizational dynamics should include management and leadership training for all staff that currently have supervisory or management roles plus staff that have management ambitions. The entire organization should be educated in change management concepts to ensure that they understand the process of organizational change, and the role that they play in ensuring the success of change initiatives. Training recommendations appear under Tab Nine. The optimal organization is supported by practical, effective use of technology. Our recommendations include equipment, applications and technology management programs that have a proven track record as effective tools for a legal department. We recommend an annual IT spending of $16,000 per lawyer and $8,000 to $10,000 per computer user, which includes technology training. Technology recommendations appear under Tab Ten. The scope of this engagement did not allow a complete facilities review, thus specific recommendations regarding facilities are not offered. We do provide general recommendations regarding criteria that should be considered when assessing non-personnel service needs. Our recommendations appear under Tab Eleven. The design of the optimal organization assumes that all essential services are provided within the OCC. Several functions do have potential for outsourcing, including several of the Shared Services functions and legal functions. Decisions regarding outsourcing should be based upon thorough analysis and study of service needs, costs and control over the work product and thus specific recommendations cannot be made within the limitations of this engagement. Our recommendations appear under Tab Twelve. The following organization charts illustrate the recommended structure for the optimal OCC organization. A discussion of our recommendations follows the charts. The concept of the optimal organization is to closely align service providers with the clients that they service thereby allowing each service unit to be structured, staffed, managed and supported in a manner consistent with the units client obligations. It is extremely difficult to find talented lawyers who are also effective administrative managers. Thus the organizational structure separates technical supervision of lawyer work product from administrative management, which allows the lawyers to focus on legal services while strengthening the administration of the OCC. Our recommended hierarchy has three primary groups, each comprised of divisions, which in turn are organized into technical sections. The technical sections are structured to support specific client needs and work flows. The divisions organize similar skill sets that share common management needs. At the highest level, the groups provide client alignment, while keeping the number of officers with direct reporting relationships to the Corporation Counsel to a minimum. The officers that head the Legal Services and Shared Services groups report directly to the Corporation Counsel as do the individual advisors that comprise the Advisory group. A discussion of each Group and their respective divisions follows. The Advisory Group is comprised of four senior advisors and one researcher. The advisors provide counsel to the Corporation Counsel and to the Mayor on issues of policy, strategic initiatives and issues that are critical to the executive management of the District. A dedicated researcher supports the advisors to ensure that advice can be provided in a timely and responsive manner. Each division is staffed by lawyers providing either advisory services, litigation services or claims management on behalf of the District. Organization under the Legal Services umbrella gives the management structure and increased awareness of opportunities for cross training and collaborative practice support for advisors and litigators. The structure allows senior management to explore coordination of services within the divisions, such as centralization and management of advisory services currently provided by the Government Operations Division and the Appellate Division. The Appellate Division serves the Litigation Division, the Public Protection Division and acts as an advisor to other OCC functions. This organization should remain in its current configuration. The Government Operations Division provides advisory services to the District and has oversight responsibility for the lawyers employed by the various agencies. While the client base is diverse, the services provided to this client base can be generally described as advisory. This division needs to act as both the coordinator and clearinghouse for legal advice. It is currently optimally structured, although consideration should be given to including this office with the various senior advisors (Special Counsel and Senior Counsel) under one umbrella organization (the Advisory Group). This division will particularly benefit from technology enhancements that allow control and coordination of advice provided throughout the OCC and Agency Counsel organizations. In the current structure, the Mental Health, Family (which includes both Domestic Violence and Abuse and Neglect) and Child Support divisions each have social service functions, service standards and practices that are substantially different from the Civil and Criminal divisions. The Investigative division is intended to service all divisions within the OCC that have investigative needs. In the optimal structure, the entity currently known as the Office of Public Protection and Enforcement is restructured by moving its Civil and Criminal divisions to the Legal Services Groups Litigation Division, where they become sections and by moving the Investigative Division to the Shared Services Group. Several of the Sections within the Public Protection Division have substantial roles beyond providing legal services. Our optimal organization structure addresses the legal service roles and creates a hierarchy for management of other administrative and service functions. The limited scope of this engagement did not allow a detailed review of non-legal functions. The Child Support Section is responsible for enforcement of Child Support programs, including initiatives to enforce child support orders and improve collections of delinquent child support payments. This Section is unique in that it acts as a Title IV-D agency, which requires that it operates the Districts child support program. This report addresses only the legal talent of this section and not the administrative functions, which are beyond the scope of our engagement. The Abuse and Neglect Section is responsible for prosecution of all abuse and neglect cases, from inception to resolution, including termination of parental rights and adoptions where warranted. The Domestic Violence Section manages the Domestic Violence Intake Center located in the D.C. Superior Court and provides representation to victims seeking protective orders. This Section receives grant funds for several positions pursuant to the Violence Against Women Act. 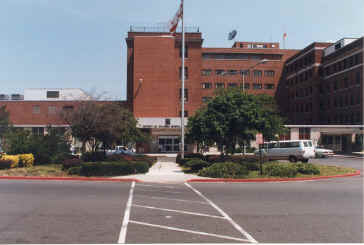 The Mental Health Section provides representation to the District mental health system in addition to prosecution and management of commitments. It acts as a policy advisor to the mental health hospital. Litigation and claims management functions are organized in one umbrella organization to provide continuity of management and support for all OCC litigators. The Equity section represents the District in equity matters including court decrees and receiverships. The Defense Section provides defense representation to the District and includes claims management functions for the District, which is self-insured. This Section includes some of the most seasoned litigators in the OCC. The Affirmative Litigation Section is responsible for pursuing all litigation commenced or prosecuted on behalf of the district. The government fraud unit is responsible for investigation, identification and prosecution of fraud committed against the District. This section also has responsibility for consumer protection actions. The Criminal Section is responsible for Juvenile and Adult misdemeanor prosecutions. The organization of the current Commercial Division provides the necessary alignment with its client base and thus no changes are recommended. The Shared Services Group organizes all of the functions that service the OCC into one cohesive structure. This group has a singular mission: to support and enhance the services provided by the OCC. Organizing these functions under the Shared Services Group allows senior management to manage and deploy resources to the various practice divisions, while creating uniformity of skills, technical resources and tools used by the support functions. The Administrative Services Division provides paraprofessional and clerical support to the various group and practice divisions. An Administrative Support Manager is assigned to each practice division. The Administration Services Division is responsible for ensuring that each practice division has appropriate support, which at times means coordination and dispatching of support functions. Centralizing this resource diminishes the impact of vacancies and temporary staff shortages that might otherwise be suffered if staff reports directly to each practice division. While administrative management is centralized we recommend that support staff be physically located and functionally dedicated to the practice division, although the option of a central clerical pool for transcription and word processing is an option worthy of exploration. These pools further diminish the impact of vacancies. The Human Resource Division provides all human resource related functions to the OCC. This division includes Human Resource Directors for each Legal Services Division and for the OCC itself. A dedicated a training director is responsible for program management, with actual training provided by vendors. The Recruitment and Intern Management Director is responsible for managing the OCCs use of interns and for establishing and maintaining the OCC recruitment program. The Information Technology/Telecommunications Section provides the interaction between the OCC and the technology resources of the District, ensuring that the specific needs of the OCC are met. The Facilities Section is responsible for all aspects of providing appropriate facilities to the OCC. The Knowledge Management Section coordinates all knowledge management resources, including the library and the knowledge management databases (k-bases) used by the OCC. The Supplies and Operating Resources Section manages the procurement and utilization of equipment and supplies within the OCC. The Records Management Section is responsible for maintaining the OCC paper based filing system. The Finance Division supports the budgeting and financial management needs of the OCC, including grant procurement and management. The optimal staffing for the OCC would consist of 546 employees as represented on the following table. (a) The number of attorneys at each level, such as line attorneys, attorney-advisors, and supervisory attorneys. The Optimal service structure meets its clients needs with lawyers that have the appropriate skills, given sufficient time to properly perform their services and sufficient resources to support their performance. We have not endeavored to determine the skill sets of the current OCC staff and without considerably more analysis and study, we are not in a position to determine the exact skills required to fully service each client of the OCC. For purposes of this report, we assume that the structure defined herein is staffed with appropriately skilled individuals. To determine the staffing of the optimal organization, some measure of productivity must be established. Productivity measures should be tailored to the needs of the organization and should be developed from study and analysis of workflow processes. When properly developed and implemented, productivity measures can establish staffing needs as well as to identify performance expectations. To provide this report, we have relied upon data currently available from the OCC, which does not represent a complete productivity review. For that reason, the measures used in this report should be treated as illustrative. For the purposes of this exercise, we considered productivity solely for purposes of defining the optimal staff size, and not to guide individual production. The most generic measure of productivity is time. Time should never be the sole measure of productivity because some people are more efficient than others and time cannot measure quality. But as a management tool, realistic time parameters can establish staffing norms and time is a good workflow equalizer. While the skill sets and work product of an appellate lawyer might be dramatically different than those of a juvenile division lawyer, they each have a finite number of hours within which to perform their work. In an optimal legal department, a fully productive lawyer should be expected to provide between 1600 and 1800 hours of client services. For purposes of our recommendations, we assume a standard of 1700 hours. Please note that we refer to "client services" time. This does not mean that an employee need only show up for 1700 hours of work, but rather, it means that the employee provides 1700 hours of activity that benefits a client. In addition, lawyers will spend time in administrative functions, staff development and other activities that are not client services. The hourly standard alone will not determine staffing. To determine actual staffing, workflow patterns should be analyzed to determine how much work is generated by each client service need, which is a task well beyond the scope of our current engagement. While we did not do a detailed workflow analysis; we made assumptions based upon the statistical information currently available. The task/time data provided to us yields a per lawyer time range of 161 to 261 hours per month, but we suspect that these represent "snapshots" of workflow versus a thorough analysis. We selected the middle ground figure of 211 for our analysis, which would reflect the "client services" workflow of a fairly busy lawyer. We applied the average monthly task/time data to the most recent matter count information for each division, from which we determined the current time per matter charged by each lawyer and we used current caseload statistics unless informed that those statistics are subject to change. In the case of anticipated increases in workloads, we used the projected figures. For example, the appellate division advises that the Safe Families Act will increase appellate caseloads by 60 to 100 cases per year. The Adoption and Safe Families Act of 1999 ("ASFA") will have an impact upon workflow patterns for abuse and neglect matters, but because the changes imposed by the act will require performance modifications by several entities, including the courts, it is difficult to project the ultimate impact that this will have upon OCC staffing. Management we interviewed in the Abuse and Neglect Division suggest that the maximum number of abuse and neglect matters that a lawyer can responsibly handle is 30. The OCCRE Survey Analysis Workload Data Responses dated 6/27/00 provides an average matter count of 38. The time based staffing analysis described above supports the suggested caseload of 30 matters per lawyer as optimal. Changes required to OCC matter management systems to accommodate the abbreviated time frames imposed by ASFA. Establishing a "triage" team of lawyers to provide compliance with ASFA on current matters. Establishing a new matter intake team of lawyers to establish ground up procedures for compliance with ASFA on all new matters. An "overstaffing" plan to add lawyers on a contract or interim basis to support the transition toward optimal caseloads. The OCC has studied this situation carefully and suggests a structure that would create two units within the Family Division. A pre-adjudication unit would handle all cases through adjudication. A post-adjudication unit would handle permanent placement and reviews. This is a logical interim measure that we would support, with review on an annual basis. The OCC study recommends a post-adjudication unit of 12 lawyers, one paralegal and one investigator. We recommend two supervisory positions be added to support the post-adjudication unit. Because we consider this structure to be interim, we cannot project the ultimate impact upon the size of the optimal OCC, thus our staffing recommendations for the optimal OCC do not include the post-adjudication unit. The optimal structure is also influenced by the level of support provided to the lawyer population by paraprofessionals and clerical staff and by the level of technology used by the OCC. Since the exercise is to define optimal, our recommendations assume that the technology recommendations provided herein have been fully and successfully implemented. In reality, the OCC might find the need to overstaff certain positions as an interim measure. At the present, OCC lawyers are performing non-lawyer tasks such as filing, service of papers, investigations and other tasks that are not the best utilization of their talents. The optimal organizational structure should recognize the benefit, or the return on investment, realized by improved technology and strengthening of the non-lawyer support functions. Establishing this return on investment is highly situational. To properly establish a reasonable expectation, there should be a study of the current work flow, current use of technology and current use of support staff, followed by an analysis of how technology and increased support staffing impacts lawyer work flow. For purposes of this exercise, we reviewed the task/time information provided as table 2 of the Strategic Plan and determined that approximately 20% of the lawyer time reported was for non-lawyer tasks. Adding 5% for technology efficiency we applied a 25% efficiency factor, purely by way of example. This factor may be high or low, but represents a reasonable expectation. The OCC should develop its own expectations as part of its IT strategy. Technology also influences the skills and type of support required of a legal department, such that the distinction between a clerical function and paraprofessional function and a lawyer function can at time be subtle. For that reason, we have provided a general support population for the optimal organization, which will be comprised of paraprofessionals and clerical staff. While support staffing needs will vary by practice group, in our experience a ratio of four support staff for every six lawyers provides an optimal environment for providing legal services. (b) The ratio of supervisory attorneys to line attorneys and attorney-advisors. Our optimal organization has a ratio of one lawyer supervisor for every six line lawyers. The ratios for specific units have been adjusted where necessary to ensure that the span of control does not exceed the supervisors ability to manage the technical work product of the attorneys. In practice, it is difficult to achieve a perfect ratio for every practice section, thus the ratios of some sections deviate from the norm. One advantage of the optimal organization structure is that, by organizing similar skill sets of lawyers, supervisors can be shared or split between practice sections when necessary due to vacancies or voids in the supervisory structure. (c) The number and type of support personnel, such as paralegals, secretaries, file clerks, document managers, administrative assistants, and recommendations about staffing implementation (e.g., pooling paralegals, swing shifts, etc.). Our recommendations for support personnel represent full time equivalent positions (FTE). We recommend a population of 42 executive assistants, 85 paralegals, 39 legal secretaries, 18 file clerks, 7 full time researchers, 6 database managers and 6 records clerks. Centralization of the support functions allows the optimal organization to explore alternative employment arrangements such as flex-time, swing shifts and other programs that might be attractive to the available work force. Our recommendations for the Shared Services Group include all of the essential functions of OCC operations and management. This structure assumes that the OCC will be supported by core services provided by the District for other District entities, such as IT, human resources, facilities management, risk management and financial services. We have not provided for functions that might be provided by Shared Services that are commonly provided by other departments within the government structure, such as risk managers, delivery services and supply management staff. We are not in a position to offer recommendations on these services. (e) Staffing for the Corporation Counsel and Principal Deputy, addressing such matter as whether they need advisors, and, if so, how many performing what types of functions, support staff needs, etc. As with most senior executives, the Corporation Counsel and the Mayor rely upon trusted advisors to guide their business decisions. The number of advisors required is highly subjective. Some senior executives have advisors available within their core organization, typically their direct reports, while others assemble a team of advisors that do not have line responsibilities other than to advise the executive. For purposes of this exercise, we assume that the current group of advisors is essential. In terms of staffing, the optimal organization includes executive assistants for the Corporation Counsel, the Principal Deputy and for the advisors as a group. We also include a dedicated researcher. Proposed Salary Ranges are provided in the following table. Advisor Reports to the Corporation Counsel. This is a high level specialist on a dual latter track comparable to a Deputy position. Not a supervisor, but may train junior lawyers. Works regularly with District of Columbia senior executives on legal issues within his/her expertise Legal Department salaries for lawyers at this level in the NE Region range from $110,000 to $164,000 with an average at $127,000. Legal Services Group Principal Deputy Reports to the Corporation Counsel. Manages Legal Services Function. Legal Department salaries for lawyers at this level in the NE Region range from $135,000 to $200,000 with an average at $159,000. Legal Services Deputy Reports to Principal Deputy. Responsible for supervising, training and management of specific division. Commercial Division Legal Department salaries for lawyers are not delineated between Deputy/Assistant Deputy/ Legal Supervisor. When viewing this salary range, the higher figures should be considered for the Deputy position, the middle figures should be considered for the Assistant Deputy position and the lower figures should be considered for the Legal Supervisor position. The salaries for these three positions in the NE Region range from $122,000 to $170,000 with an average at $138,000. Assistant Deputy Reports to Deputy in Legal Services Group. Heads a group of lawyers or other professionals organized around a specialty or function. Legal Department salaries for lawyers are not delineated between Deputy/Assistant Deputy/ Legal Supervisor. When viewing this salary range, the higher figures should be considered for the Deputy position, the middle figures should be considered for the Assistant Deputy position and the lower figures should be considered for the Legal Supervisor position. The salaries for these three positions in the NE Region range from $122,000 to $170,000 with an average at $138,000. Lawyer Supervisor Reports to Assistant Deputy. Supervises lawyers in area of specialty. Legal Department salaries for lawyers are not delineated between Deputy/Assistant Deputy/Legal Supervisor. When viewing this salary range, the higher figures should be considered for the Deputy position, the middle figures should be considered for the Assistant Deputy position and the lower figures should be considered for the Legal Supervisor position. The salaries for these three positions in the NE Region range from $122,000 to $170,000 with an average at $138,000. Senior Counsel Reports to either Assistant Deputy or Lawyer Supervisor. Eight or more years of experience. While may supervise younger lawyers, does not handle management responsibilities Eighth year associate DC law firm salary data is not as reliable as for other years because many associates have moved into partnership or left the firm. To the extent eighth year associate figures are available, they range from $155,000 to $235,000. Junior partner salaries are typically higher. Counsel Reports to either Assistant Deputy or Lawyer Supervisor. Four or more years of experience. Little, if any, supervision of others. Ability to work independently Fourth year associate DC law firm salaries range from $81,000 to $170,000. By seventh year, DC law firm salaries range from $120,000 to $220,000. Legal department salaries for lawyers at this level in the NE Region range from $71,000 to $105,000 with the average at $82,000. Staff Lawyer Reports to either Assistant Deputy or Lawyer Supervisor. Entry to three years of experience. No supervision of others. More routine work. Closely supervised by experienced lawyers. First year associate DC law firm salaries range from $63,000 to $145,000. By third year, DC law firm salaries range from $78,000 to $160,000. Paralegal A semi-professional who performs limited legal tasks. At the entry level, requires college degree or certificate. At the high end, requires college degree, certificate and a minimum of seven years experience. Paralegal DC law firm salaries range from $30,000 to $75,000. Legal department salaries for entry to senior level range nationally from $37,000 to $62,000 with the average at $46,000. A lawyer need not fill this position. As a result of the extremely varied job responsibilities and the fact that in some organizations lawyers fill this position, compensation range is very broad. Shared Services Deputy Report to Senior Deputy. Responsible for administrative management of Shared Services Divisions. · Administrative Services: Responsible for administrative management of all support managers. · Human Resources: Responsible for all Human Resources matters within OCC. · Support Functions: Responsible for oversight and management of facilities, IT, and other operations. · Finance: Responsible for management of accounting and financial operations of OCC. Non-lawyers typically in these positions. Salary ranges from $53,000 to $141,000. Researchers Reports to the Research Manager and is responsible for performing selective research as required. Comparable to staff attorneys. See discussion above. 1999 Law Department Compensation Benchmarking Survey, Altman Weil (Note: another published legal department salary compensation survey (PriceWaterhouseCoopers) was not referenced. The PWC survey data has a high percentage of Fortune 500 respondents that would inappropriately skew the data for a government organization). PLEASE NOTE: Per Chere Calloway, the OCC has access to the Federal Office of Personal Management salary data and considers the data to be "too broad." As such, we did not integrate it into this table. The Legal Services Establishment Amendment Act of 1998 requires that the OCC establish a performance measurement system that links pay to performance. In an optimal organization, higher performance is rewarded by higher pay. Some organizations achieve this by establishing objective criteria for performance, with measurements tailored to the specific position and the specific employee. The employees actual performance is measured against those criteria and compensation is adjusted pursuant to an agreed formula. To create incentives to excel, organizations provide a range of salary opportunities for a given position so that higher achievers earn at the high end of the range when compared to less impressive performance. The key to success for these programs is to establish mid range salaries that are at or near market for the particular position. Thus an underachiever will earn less than market, while an excellent achiever can earn substantially more than market. An employee that meets all performance expectations, but does not excel, will earn a market rate salary. Establishing the meaningful ranges of salary for an organization the size of the OCC takes considerable study. For purposes of this engagement we did not conduct a benchmarking study. However the salary information provided herein reasonably represents the market in which the OCC would hire its staffing. As noted in the discussion of staffing, an optimal organization will expect a fully productive lawyer to provide 1700 hours of "billable" legal services annually. The number of matters that each lawyer can handle varies dramatically by the time required to fully service a matter. Please refer to our discussion of staffing for a detailed description of the process used to establish workloads. Basically we applied productivity factors to the current workload data to determine optimal workloads. Based upon that analysis, the following per lawyer workloads emerge. We suggest that these represent optimal workloads. It should be noted that the OCC lawyers currently perform several activities that in a optimal organization would be performed by support staffing, such as filing, word processing and service of papers. Improving the support provided to the lawyers increases the number of matters that a lawyer can handle with the exception of lawyers whose workloads are comprised entirely of hearings. In those circumstances, workloads are defined by the number of hearings that can reasonably be handled by a lawyer performing 1700 hours of annual "billable" time. We recognize that the current environment of the OCC, which includes mandates such as those imposed by the LaShawn Order may require upward staffing adjustments to allow the OCC to transition from its current workloads to an optimal workload. The OCC training program should address both skills training and organizational dynamics. The specific training programs that would benefit the OCC should be determined through a needs assessment program. Generally speaking, the OCC training program should focus on the following critical training areas. A. Technology - Every employee should receive basic training and orientation to the equipment and applications that will support their functions. Elective training should be offered for employees that seek to enhance their basic skills and refresher training should be available for employees whose skills need to be improved. The cost of technology training is included in the per user costs suggested in the IT Section. This training is on going as equipment and applications are upgraded or replaced. B. Legal Services  New lawyers should be supervised by an experienced lawyer and receive basic skills training in their areas of discipline. This is typically "on the job" training that is difficult to quantify. C. Continuing Legal Education  Every lawyer should attend continuing legal education courses, provided either in-house or through an external program, in areas of skills and issue identification. We recommend that each lawyer receive 15 hours of continuing legal education on an annual basis. This approximates the number of hours under many mandatory Continuing Legal Education requirements throughout the U.S. We suggest a budget of $600 per lawyer. D. Other Skills- Many organizations offer specific training in customer service, negotiating skills, professional writing skills and in other areas germane to a particular function. The costs of these programs are highly variable as some last an hour, while others are multiple day sessions. We suggest a budget of $350 per trainee. Optimal organizations devote considerable resource to training management and staff in organizational dynamics. These programs are structured to ensure that the management initiatives and values of the organization are successfully implemented and supported. A. Change Management  The process of effecting positive changes to an organization requires education of both the staff and management of the organization. Staff must be trained to understand the process of change and the role that they play in ensuring that the changes are meaningful and successful. Management must be trained to guide the staff toward positive change and to appreciate their own roles in the process. These programs are typically tailored to the specific client organization and can range from one day to several day events. The costs can range from $250 per employee to over $1,000 per employee. We suggest a budget of $500 per employee. B. Management Skills  Management and leadership are both skills and qualities. Optimal organizations nurture and develop these skills with targeted management training courses. These programs are also tailored to meet specific needs. As an example, the Hildebrandt Institute provides annual programs for managers at an average cost of $ 1,200 per person. Recommendations about technology needs for each optimal organization, including those concerning case tracking and document management. Information Technologys primary purpose within a legal department is to promote the productivity of the lawyers and staff and to enhance their ability to provide high quality legal services to clients. Achieving DC OCCs goals for enhancing productivity, operational efficiency and client service will require Information Technology to play a major role in providing the necessary information to manage internal processes and enhance delivery of legal services to clients. Information Technology that is useful to the legal community has continued to evolve rapidly over the past decade as new products and services appearing on the market with blinding speed. New products and services will undoubtedly provide opportunities to enhance client service as well as open doors to new opportunities for providing legal services. The responsibility falls to IT Management, therefore, to maintain a constant focus to identify and assess these opportunities. Our view of an optimal OCC includes practical technology tools and applications. Rather than cutting edge technology, we recommend established, usable tools to support the efficient delivery of legal services. The goal of any initiative to enhance the OCCs Information Technology capabilities as well as management and support capabilities must be to aggressively help technology consumers realize the maximum benefit from available technology tools. The scope of this project did not include a technology assessment of the OCC. Prior to developing an IT budget, it is advisable to prepare and IT Strategic Plan and conduct an on-site assessment. A 35-40:1 IT consumer to system support staff ratio (normal for firms that have one stable platform). A 25-35:1 IT consumer to system support staff ratio (normal for firms that are actively upgrading and enhancing IT capabilities). A 20-25:1 user to system support staff ratio (for firms that are aggressively applying IT to the practice or undergoing significant renovation of systems and technology). Approximately 40% of IT spending is for IT staff functions, 35% for depreciable assets and 25% for expenses, such as training, maintenance and applications. Benchmarks must be viewed with caution as a wide variety of factors will influence spending levels for individual organizations, such as the number and geographical dispersion of office locations, support requirements and service level expectations, major projects. Costs are appropriately controlled, categorized, managed and reported. Prior work product and case files are secure, consistently managed and easily accessible to all authorized parties. Ongoing matters are completed in compliance with OCC business goals and objectives. OCC management is provided with timely and accurate information necessary to support achievement of the OCC mission. The optimal information technology environment is based on technology tools, software applications and equipment that are effectively applied to well-designed workflow and systems that support mainstream business processes. In this optimal environment, the production, management, distribution and retrieval of information received or generated by the law office is accomplished efficiently and effectively through tightly integrated systems and processes in a standard technology infrastructure. The following overview briefly describes the optimal information technology environment in terms of Best Practices. While conflict checks are typically associated with law firm, rather than legal department systems, we are advised that the OCC has experienced conflict situations with outside firms retained by the OCC or other governmental agencies. Thus consideration should be given to the conflicts checking capabilities of Matter Management Systems. Electronic mail and integrated Matter Management Systems (MMS) streamline the file opening process and ensure that all potential conflict situations surface quickly and are addressed promptly to reduce the errors associated with the file opening process. A well-integrated MMS will have a single database that accommodates the multiple functions associated with the file opening process including: completion of a new client-matter form, conflict checking and the generation of labels for the physical matter files. These systems offer the ability to search open- and closed-matter files, as well as related info-bases. Many of the new Matter Management Systems use a relational database that supports multiple levels of organizational and contact searching as well as full text searches. The MMS allows multiple, simultaneous points of entry by secretaries, lawyers and others to a single, centralized database of client, timekeeper and other pertinent information regarding the new matter. Once conflict searches are made, the results can be selectively pared and presented online to the appropriate lawyers for final review and disposition. Matter Management Systems store search queries, results and annotations as part of the file history. The conflict checking process can be made part of the workflow associated with opening a new matter. In this event, conflict checks are requested, without exception, for new matters. Best practices in this area make use of electronic forms and workflow technology. Paper-based new client-matter forms are recreated as electronic forms on the network. The new electronic forms can have the same layout and appearance as the paper forms to minimize training and can be routed through the approval and opening process using e-mail. In this manner, new matter information can be instantly input into and be validated by the MMS. The electronic forms are programmed to follow a standard workflow or routing process. After initially completed by the responsible lawyer (or his/her proxy), the form is automatically routed to functional areas responsible for Conflicts, Docketing, and Records. This routing can be done sequentially or in parallel. Authorized users can track the progress of the form at all times as it is routed through the process. As soon as the new matter is opened, the use of an integrated MMS allows for the generation of required labels for the physical file and notification of the new matter to the appropriate parties. Therefore records and files can be managed using the same matter information from one centralized source. In addition, new matter information can be automatically downloaded to other support systems requiring matter information such as document management system. Windows-based Docketing Systems that are integrated modules of their FMS are used to validate the entry of matter numbers and responsible lawyers for each docket entry. New docketing systems are rule-based, such that the initial entry of one date for a particular type of matter will trigger the scheduling of a chain of related events. Some systems come with predefined rules for particular jurisdictions that have codified docket rules for particular types of matters. Docket systems are also available with online access by lawyers in order to coordinate and manage one or more related matters. In addition, these systems can be programmed to send one or more tickler reminders to lawyers of upcoming docket dates through the use of audible alarms, e-mail or both. Pro bono, agency counsel and outside counsel. Any docket or other regulatory or commitment dates. Isolate and graphically illustrate financial trends or exceptions by client, area of law or outside counsel. Improve the strategic planning process by analyzing caseloads by a number of different parameters. The MMS will also help improve the range and quality of legal services being provided to clients. The OCC can make certain components of these systems available to clients to ensure that they are kept informed of the range, type and status of open matters, reducing the number of telephone interruptions that lawyers experience. A feature-rich MMS should replace many of the manual logs, individual word processing and spreadsheet documents, or individual databases being maintained by lawyers, secretaries and paralegals in the OCC. A customizable case fact sheet that includes the basic name/address/telephone information for all parties related to a matter, in addition to case-specific facts, based upon the specific areas of practice. Matter/contact notes  An on-line legal pad for recording notes regarding client contacts. The notes can be sorted by lawyer, date, type of contact, etc. Calendar/Docket  Maintenance of a master docket of events, with user-defined tickler dates and scheduling for the case process by work teams. Document/Form Generation  Based upon the specific type of case or area of law, standard documents can be generated by the case management system using information contained in the client or matter profile. Fee Tracking/Budgeting  To estimate and track fees from matters and develop historical case costs for future use in estimating fees or for establishing and monitoring alternate fee arrangements. Time Entry  To track the allocation and utilization of in-house resources by individual lawyer, task, matter type or line of business. While separate disciplines, document and records management are closely related. Both systems should be fed by, and work closely with, the MMS. Certain types of matters should have certain milestone events defined in the MMS that will trigger alerts to lawyers or staff to perform document and record management events. Records and document management systems should be maintained in a networked, Windows environment. Both systems should share organizational structures to facilitate storage, retrieval and archiving of paper and electronic files. Financial, document and record management systems should be used to build a set of online client-matter files that can be accessed twenty-four hours a day, seven days a week. With implementation of online files, paper files can be relegated to a central, controlled file room. If the documents are searchable, retrievable and printable online, then the need to retrieve, search and re-file paper documents is dramatically reduced. Depending upon the volume of paper-based files, many legal organizations have opted to use basic bar coding to facilitate the tracking and movement of their paper files. These systems, however, are only as effective as the people who use them; they frequently lose their integrity when people check them out and pass them around the office without bothering to re-scan them. A legal departments Matter Management System (MMS) should take advantage of Windows-based and Browser-based technology to enable timekeepers to enter time directly into the computer. This simplified, direct entry process is facilitated (with improved accuracy) by providing the timekeeper with direct access to a Windows-based or Browser-based time entry program that is easy to read, requires minimal key entry, and can be kept open and easily switched to as the timekeeper switches his/her time between matters and activities. A good time entry program provides timekeepers with simple pull-down menu selections and automatic entry of standard task codes and narrative task descriptions, rather than requiring the timekeeper to key such entries. Todays systems utilize abbreviated keywords and task-based time entry to generate standard narrative descriptions. Direct entry of time through selections from pull-down lists of clients, matters and tasks, ensures timeliness, efficiency and accuracy. Task-based time entry can be used to effectively budget tasks and evaluate resources by client and matter types. Communications are shifting from paper to electronic media. Legal departments that have invested in networked PCs to share work product and practice management information are using that same network to connect with their clients and lawyers. Their word processors are fax and e-mail enabled so that documents can be faxed or e-mailed just as easily as they can be printed. Electronic mail has emerged as the prominent method of communicating both internally and externally. E-mail gateways have become the link to world of Internet e-mail while "e-mail enabled" applications have become a necessity rather than an option. To insure the protection of highly sensitive and confidential information, encryption software has made its appearance as another application to be considered. Although rapidly being replaced with electronic mail, faxing capability right from the desktop is still a highly chosen option when considering timely and more confidential communications with clients. The use of Personal Digital Assistants (e.g., Palm Pilot or Visor) to manage e-mail, calendar, and address books is becoming a standard component of the communications infrastructure. Few legal departments currently support Palm Pilots or similar peripherals. Document assembly software which establishes procedures for the assembly of a boilerplate document by retrieving variable information from a database file or when prompted by the user. Printing to hard copy for manual signature and paper-based delivery (fax, overnight or regular mail). Direct faxing from a network-based fax server. E-mail links for internal or external (Internet) transmission. Copying into HTML format for posting to an Intra- or Internet Home Page. With the advent of electronic delivery methods, the issue of electronic certification/authentication of signatures arises. Digital notaries are one way of making electronic signatures easy and secure. The technology works like the paper counterpart: the digital notary transmits an electronic document after checking the source's identification and attests to its authentication by affixing a digital signature. Recent advances in Voice Recognition technology have encouraged law firms to begin pilot evaluations for use in document production applications. This technology is not frequently found in legal departments. Document Management Systems (DMS) should be well-integrated with all document production systems to manage the complete life-cycle of any document that is produced or received by the OCC. This enables the migration from a paper-based filing system to an online, networked system. Work product and other electronic documents can be easily searched and retrieved from any location on the network. Standard forms, contracts, and document templates. Access to these "boilerplate" documents will ensure consistency and efficiency in document preparation. Scanned images or OCRd versions of valuable external documents that will be actively searched and retrieved during the life of the matter. Indexed profiles of other external documents that will be placed in the master "hard copy" matter files, but are not expected to be frequently searched and retrieved. To effectively monitor and manage client, matter and internal budgets and tasks, responsible lawyers have direct online access to key matter and working lawyer information (both current and historical). The most effective systems make extensive use of graphics charts to provide a high-level view (perhaps by client, lawyer or practice group) of potential problems or opportunities. These systems offer "drill-down" features that enable busy lawyers simply to click on the numbers in their high-level view to have the system quickly break down summary statistics into their underlying components without waiting for paper reports to be programmed, printed and distributed. An integrated MMS can provide legal organizations with a central, online facility for closing files. Lawyers and support staff have a single system to manage and access their back office information. To help ensure that files are closed completely and on a timely basis, routine reports can be generated automatically by the MMS (based on some logical criteria) and sent via e-mail to the appropriate lawyers to notify them of potential file closing situations. When confirmed, an e-mail notice is sent to the Records Department to package the hard copy file information for permanent storage. To be effective and economical, legal research should be well structured and accessible. This process should occur within a networked, Windows processing environment that enables users, from their desktop PCs, to easily switch and cut and paste information between the research documentation and the other suite of network applications, such as document management, word processing, litigation support and/or case management. The Internet for access to commercial (client, industry or professional) or government forms and information. An on-line commercial service such as Westlaw or Lexis to gather and present fast-breaking news in a manner that complements the individual lawyers practice. Networked CD-ROM subscriptions to provide local and responsive access to static or periodically refreshed information such as statutes, court decisions or monthly/quarterly professional journals. Hard copy books or journals. Litigation Support is an area that has seen dramatic and far-ranging change. Once again, Windows-based systems are the rule for the same reasons mentioned earlier. Windows-based Litigation Support Systems (LSS) are now network-based and portable, allowing members of a trial team to access the LSS simultaneously over the network and to copy information to their local PCs. Todays LSS can be copied to a portable CD or to a CD-ROM to easily take trial "boxes" on the road. Todays LSS can store and index a wide variety of files, many times in their native format (such as WordPerfect or scanned images). Case Management Systems (CMS) are becoming more tightly integrated with other core systems, such as document management, financial management and litigation support systems. The CMS will profile a particular matters key dates, players, events and other resources. While accessing the record(s) of a particular matter, todays leading CMS will also allow the end user to pass that matters name onto the firms Document Management System (DMS) or Matter Management System (MMS) to quickly display related documents, time entries, docket entries or bills associated with that matter. In terms of facilities, the configuration of a legal department should reflect the culture of the client organization, while providing sufficient facilities to perform professional services. Popular configurations range from office-less environments to individual offices for each professional and para professional. The OCC should consider the following qualities in defining an optimal work environment. Private spaces for confidential communications, study, research and work. We cannot offer specific recommendations in the abstract, but find the following information to be somewhat typical for an efficient legal department. A good resource for determining specific facilities and equipment needs is Facilities Planning & Relocation, by David R. Owen (R.S. Means Company, Inc.) This two volume set provides a structured approach to assessing facilities and equipment needs. The opportunities to outsource functions are vast. On one extreme, an organization can become "virtual" meaning a shell organization coordinates the activities of outsourcing vendors that service the organization. On the other extreme is the "do-it-yourself" crowd. The following opportunities to outsource exist in the marketplace today. Legal Services - Law firms can provide a complete array of legal services to government agencies. We are advised by the OCC that, with certain limited exceptions, the District may not outsource its legal requirements to private law firms. Investigative Services  Several entities provide outsourced investigative services, ranging from data searches to surveillance. Claim Services - Third Party Administrators provide outsourced claims management services to self insured entities. Clerical Services - Transcription, word processing, file rooms, copy services, messengers and process servers and even executive administrative services can be outsourced to specialized vendors. Paralegal Services can be outsourced to private law firms or to specialized paraprofessional firms. Management Services  Professional managers, ranging from Chief Executive Officers to line supervisors can be retained on an outsourced basis. Technology Services  The entire technology infrastructure can be outsourced to several alternative types of vendors, ranging from consultants to ASPs. Our recommendation is that outsourcing be considered for technology maintenance and "back room" functions such as filing, mailroom and service of process. Outsourcing could also be considered for investigative services and claims management. We do not consider any of the functions of the OCC as candidates for near term elimination, and without further study, we cannot identify long-term possibilities. The optimal structure for the Office of Corporation Counsel will require the addition of substantial resources, both in human capital and technology. While the goal might appear lofty, achieving an optimal structure should yield dramatic benefits in improved services, expanded scope of services and pursuit of opportunities to represent the District in ways not possible under the current structure.